Yes. 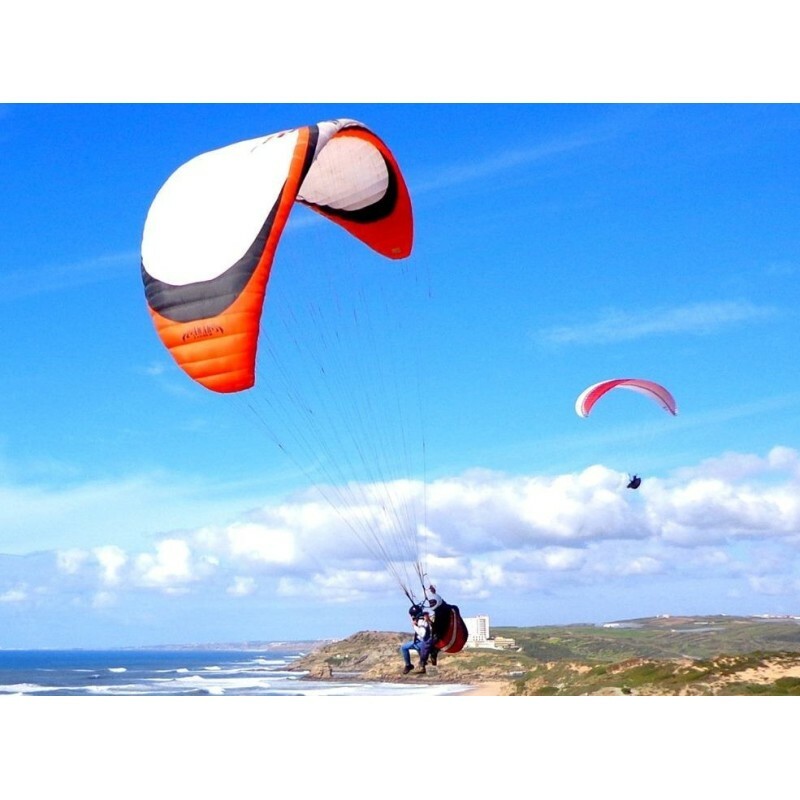 Paragliding school Paraventura has 22 year of experience in paragliding and paramotor adventures. Any person lodging a normal psychological capacity , no imminent health risks such as heart problems or others that are worthy of alert. You can fly with disabled depending on the degree of disability. You can for example fly with paraplegic since either case people are mentally healthy but will have to be agreed in advance with the instructor. Children can also fly but in this case always with the presence of parents on site and always presenting a declaration of authorizing the flight. What is the maximum weight alowed for the passenger? The maximum weight is 115kg passenger admitted in the case of Paragliding and 95kg in the case of Paramotor . The minimum weight does not matter. When do I need to book the flight? You can call us to chek our availability for a specific date but we can't schedule if you didn't buy the voucher! Flights should be booked some days in advance because we have a lot of interested persons. Anyway we can only have a reliable idea of ​​meteorology roughly about 2 days in advance . The day before the schedule is good to confirm calling us to find out if the weather forecasts are favorable or unfavorable . NOTE: You can and should also call on the same day also for the instructor before leaving for your flight as well really confirms it will take to fly. Unfortunately Paragliding depends entirely on the weather and sometimes the predictions do not add up to the real conditions of the day. Where do we meet for the experience? Yes, you have 2 years to use it. The amount paid it's not refundable. Is there any things I might need to bring to fly? Anyone should bring appropriate clothing for the season and even in the summer should bring a windbreaker for 15 minutes in the air at the sea marzia can be cold . It is also important to bring tennis or mountain-style boots . We do not fly with barefoot persons , slippers or soles of shoes or high . The solar goggles are equally important. NOTE : Bring the voucher must purchase the flight if bought at the online store . We do not flight without this proof . How many people fly each time? A two-seat glider always fly the pilot and the passenger. The pilot in the back and the passenger in the front. We may wt function to place or tri - fly with two passengers at the same time but this is not standard. This depends on the weight of the passenger .If there are two passengers can be very light as possible. May be two instructors on site. In the winter we can fly? Yes , we fly all year , since the wind is within the limits and it does not rain or is not fog. How many people can fly in one day? It deppends on the type of flyght...paragliding or paramotor. Normaly we can accept up to 15 persons. How long lasts this experience? 10 to 15 minutes and starts counting from the moment that prepare until unequip. Do you make Videos from the experience? How much do I pay for the video? It's optional. 1 video costs 10€ and 2 costs 15€. We then upload the videos to our youtube channel and you can download it. You will receive it by email after we confirm your payment.